Dimitrios (ATHENS, Greece) on 15 January 2016 in Food & Cuisine. 4 soup spoonfuls of virgin Greek olive oil. And the secret, most powerful ingredient of them all, a small piece of GREEK FETA cheese! The 2 eggplants are washed with cold water. Then pierce them in 3-4 places with a sharp knife or fork. Place them on a micro oven plate and heat them to maximum for 15 minutes. Careful they come out hot! Cut them in 2 and wait for a bit to cool off. 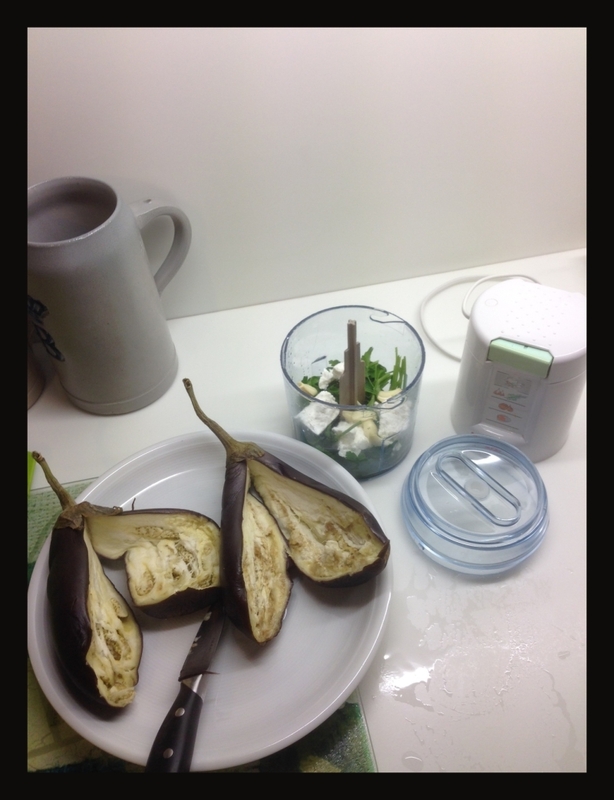 Put in a small blender, all the above ingredients and the soft part of the eggplants only. Mix them well and you are done, easy e? Decorate with a piece of parsley and a small olive. Enjoy it as it is or on top of fresh bread, mmmm, heaven in your mouth ladies and gentleman of our glorious photo blog. Long live the aminus3 photo community. @Jypyä Pop: if you try it you will discover a hole new tasty experience! Thanks for posting the recipe, Dimitrios! Looks like a butterfly. I'm glad to see another aspect of an eggplant. I like the photos, but eggplant is not something I am fond of. @Philnz: be a sport, try it, become a believer!!!!! @: Helen :: 2 secrets, greek olive oil and greek feta cheese**\take care, I am waiting for results!